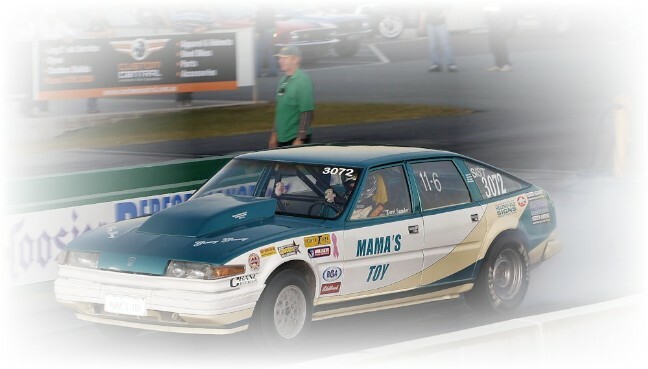 The Sunstate Nationals at Palmyra Dragway were run and won on Saturday the 3rd of October 2009, with 3 BullsEye customers making it to the finals. Groovy Grandma Terri Sander took out the Super Street bracket over fellow BullsEye customer Paul Dilley, the event which Paul won last year. On her way to victory, Terri eliminated Super Street heavy hitter Tony Wallace and James O'Sullivan, two times winner of this event. Also making an appearance in the finals was Andrew Musgrave in the ultra competitive Modified bracket, taking home the runner-up trophy after a tight race with Dave Ferriks on a dual break-out. 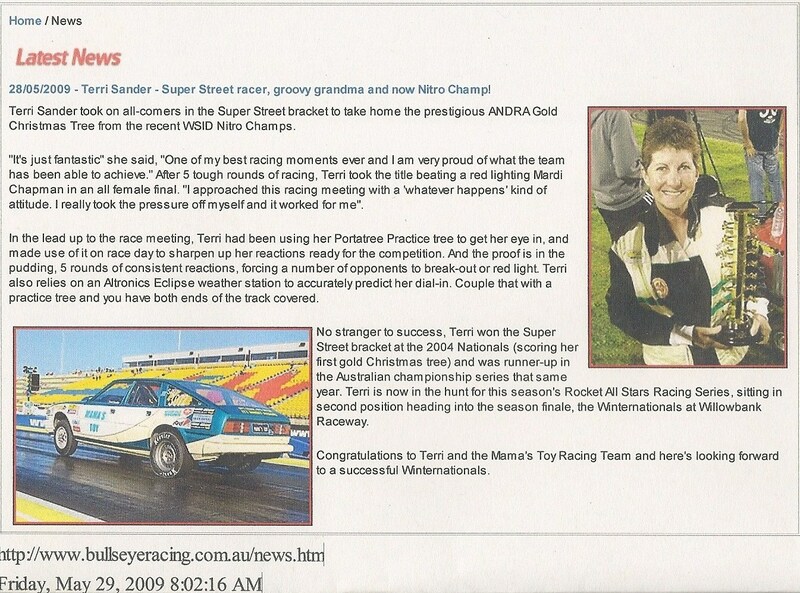 With their success at the Sunstate Nationals, Terri Sander has moved to the number 1 position in the RARS Super Street Championship, with Paul Dilley in 8th place and Andrew Musgrave in 2nd position in the Modified Championship. BullsEye would like to congratulate Terri, Paul and Andrew on a great effort at the Sunstate Nationals. If you would like to go rounds and get that winning feeling, give Kym a call on 0417 106 113 to discuss your options and tailor a package to meet your class requirements and budget.